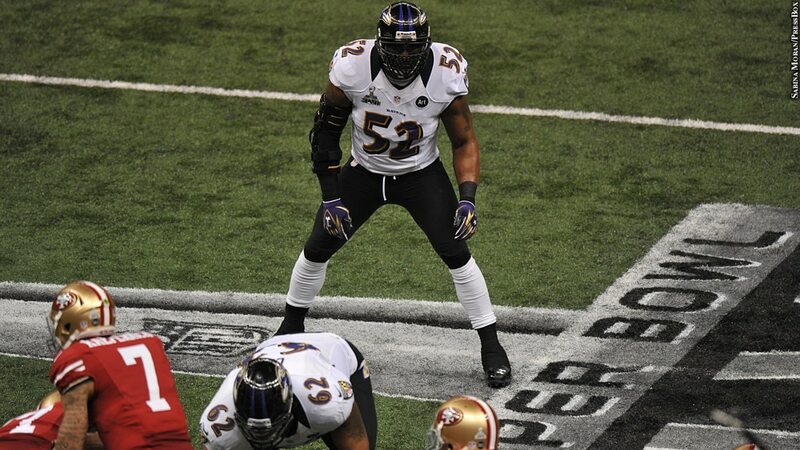 From his first days as Ravens head coach, Brian Billick knew there was something different about Ray Lewis. It wasn't the way this 6-foot-1, 240-pound freak of nature could roam gracefully from sideline to sideline, then focus like a laser on his target and deliver a bone-rattling hit. No, Billick had already seen Lewis do that. Billick had been the offensive coordinator for the Minnesota Vikings when they played against Lewis and the Ravens in 1998. Billick had already studied Lewis and devised a game plan to account for him. But upon joining the Ravens in 1999, Billick was most struck by something that never showed up in the box score. "It was shocking to me," Billick said, "coming to the Ravens and seeing again and again how readily the veterans, and I'm talking guys like Rod Woodson, future Hall of Famer ... how readily they gave themselves over to Ray's leadership." At the time, Billick pointed out, Lewis was entering his fourth season at age 24, and yet Woodson and other veterans deferred to the charismatic linebacker. "It's rare you see that, but they saw it, as young as Ray was," Billick said. "Players are very intuitive that way. That told me something right from the get-go, how special this guy was." Lewis went on to play 17 NFL seasons, all for the Ravens, and earn 13 trips to the Pro Bowl, tied for the most ever by a defensive player. He was named the Most Valuable Player at Super Bowl XXXV and was the league's Defensive Player of the Year twice. Lewis capped his career with his second Super Bowl title in his final game, and his NFL story will reach its pinnacle this summer, when he is inducted into the Pro Football Hall of Fame in Canton, Ohio, Aug. 4. Lewis was elected in his first year on the ballot, joining a 2018 Hall of Fame class that includes wide receivers Randy Moss and Terrell Owens, linebacker Brian Urlacher, safety Brian Dawkins, linebacker Robert Brazile, offensive lineman Jerry Kramer and former executive Bobby Beathard. Lewis joins Jonathan Ogden as the only homegrown Ravens inducted in Canton. For nearly two decades, Lewis was the face of the Ravens' franchise, earning a spot in the pantheon of Baltimore's greatest sports figures. He has been honored with a statue outside M&T Bank Stadium that captures Lewis during his signature pre-game dance routine, which sent Ravens fans into a frenzy. Yet nationally, Lewis has been a divisive, polarizing figure, never able to distance himself from controversy, even after his playing career ended. Lewis' role in a brawl outside an Atlanta nightclub in 2000 that left two dead will always be part of his story, and even since retiring, Lewis has injected himself into emotionally charged issues, such as the Ravens national anthem protest in London. It all suggests Lewis' legacy is complicated. But on the field, he had few equals in the history of the game. "It was our privilege to have him as a Raven," general manager Ozzie Newsome said when Lewis' Hall of Fame induction was announced. "Even in that small group who have the honor of being a Hall of Famer, Ray stands out. When you talk about the great players of all time, no matter position, he is among the greatest of the great." Raised by a single mother in Lakeland, Fla., Lewis took to football like a duck to water, finding in the game at a young age a sense of discipline, purpose and an outlet for his energy. He thrived on the competition and the one-on-one, physical battles, something that would remain a driving force his entire career. Lewis made the starting lineup at the University of Miami as a true freshman, and in three seasons with the vaunted Hurricanes program, he racked up 388 tackles. Yet Lewis was projected as no higher than a mid-first-round prospect in the NFL Draft, considered by some scouts to be undersized at 6-foot-1. Newsome's staff, though, had been wowed by Lewis during a pre-draft workout. Newsome, overseeing the Ravens' first draft as an unproven 40-year-old executive, had already hit a home run by selecting Ogden with his first pick, and the Ravens were on the clock again at No. 26 via a trade while the Ravens' franchise was still in Cleveland. Many draft experts expected the Miami Dolphins would take the hometown star at No. 20, but they selected defensive lineman Daryl Gardener instead. With Lewis still on the board at No. 26, the Ravens pounced, effectively setting the course for the franchise for the better part of two decades. In the Ravens' first regular-season game, Lewis had a team-high seven tackles and an end-zone interception during a 19-14 win against the Oakland Raiders. He finished his rookie season with 142 tackles, the most on the team. A 22-0 shutout of the Cincinnati Bengals Dec. 26, 1999 -- the first shutout in franchise history -- provided the first hint that this franchise's baby steps were evolving into a swagger. The next season left no doubt. Beginning with a 16-0 shutout of the Pittsburgh Steelers during the season opener, the Ravens' defense crafted a season for the ages. They recorded four shutouts, including two in a row, and set an NFL record for the fewest points allowed in a 16-game season (165). More importantly, the Ravens' defense kept the team afloat when the offense had no footing. The Ravens went five straight games without scoring a touchdown and still won two of those contests on the strength of its airtight defense and kicker Matt Stover's foot. They finished at 12-4 -- the first winning season in franchise history -- and secured a playoff berth. Lewis was named the Defensive Player of the Year. Lewis and that suffocating defense then bullied its way through a remarkable playoff run in which the Ravens allowed one offensive touchdown in four games. Lewis' interception that he returned 50 yards for a touchdown against the Tennessee Titans clinched a Divisional Round win, and then the Ravens held the host Oakland Raiders without a touchdown during a 16-3 victory in the AFC Championship Game. Two weeks later, Lewis and the Ravens routed the New York Giants, 34-7, in Super Bowl XXXV. Lewis was named the game's Most Valuable Player. Relentless defense came to define the franchise. With Marvin Lewis, and later Mike Nolan and Rex Ryan serving as defensive coordinators, the Ravens defense finished in the top five in six of eight seasons from 1999-2006. There was plenty of complementary talent, but the Ravens' reputation as a physical, punishing, don't-even-think-about-it defense started with Lewis in the middle. "He was ferocious," said former Ravens linebackers coach Mike Singletary, a Hall of Fame linebacker himself. "His ability to make every play, and the way he did it with speed and power, I'll never forget that." But former coaches and teammates say the traits that separated Lewis from virtually all others to play the game were uncommon drive, preparation and leadership that elevated those around him. "Ray is the greatest leader in team sports history. No one is even close," said Hall of Fame tight end Shannon Sharpe, who played on that first Ravens Super Bowl team. It's no coincidence that several undrafted inside linebackers, including Jameel McClain, Bart Scott, Dannell Ellerbe and Albert McClellan, thrived playing next to Lewis. "It's not every day people get to play with Michael Jordan," McClain said. McClain, who played alongside Lewis for six seasons -- and said he wore No. 52 at Syracuse because of Lewis -- recalled sitting in meetings as an undrafted rookie in awe of Lewis' acumen. Moments after coaches introduced a concept, Lewis already had "rebuttals, and opposite scenarios we could encounter when being in this type of defense, how other people like to play against it," according to McClain. "He already knew every scenario for what could happen." Indeed, being in the right place at the right time was no accident. Lewis spent hours in film study, dissecting every scheme, anticipating every move, learning every tendency. Case in point: In 2009, the San Diego Chargers, driving for a potential go-ahead touchdown in the final minute, faced fourth-and-2 at the Ravens' 15-yard line. From his perch behind defensive end Trevor Pryce, Lewis sized up the play, knew the Chargers blocking scheme and quarterback Philip Rivers' cadence, and anticipated they would try to run the ball with Darren Sproles. A second before the snap, Lewis bolted toward the line of scrimmage. He timed his burst perfectly, found a gap between Chargers linemen and barreled in untouched to crush Sproles for a 5-yard loss that clinched the Ravens' 31-26 win. After the game, Ravens head coach John Harbaugh called it "maybe the greatest football play I've ever seen." Lewis won a second Defensive Player of the Year Award in 2003, and remained a force into his mid-30s. But in Week 6 of the 2012 season, Lewis suffered a torn triceps muscle. It seemed his season -- and perhaps his career, at age 37 -- was finished. Lewis missed the final 10 games of the regular season, but the Ravens won the AFC North at 10-6. Lewis returned for the playoffs, but before they began, he announced that the 2012 season would be his "last ride." Teammates vowed to send Lewis off to retirement with a Super Bowl victory, an optimistic notion given that the Ravens had ended the regular season with four losses in five games. But after handling the Indianapolis Colts in the first round, 24-9, the Ravens pulled off the most stunning win in franchise history, a double-overtime, 38-35, thriller at Denver made possible by the "Mile High Miracle," Joe Flacco's 70-yard touchdown heave to Jacoby Jones with 31 seconds left that forced overtime. Suddenly, it seemed that Lewis and the Ravens were destiny's darlings. They marched up to New England and hammered the Patriots, 28-13, in the AFC Championship Game. Then in the Super Bowl against the San Francisco 49ers, the Ravens stormed to a 28-6 lead but needed a furious goal-line stand in the final minute to win, 34-31. 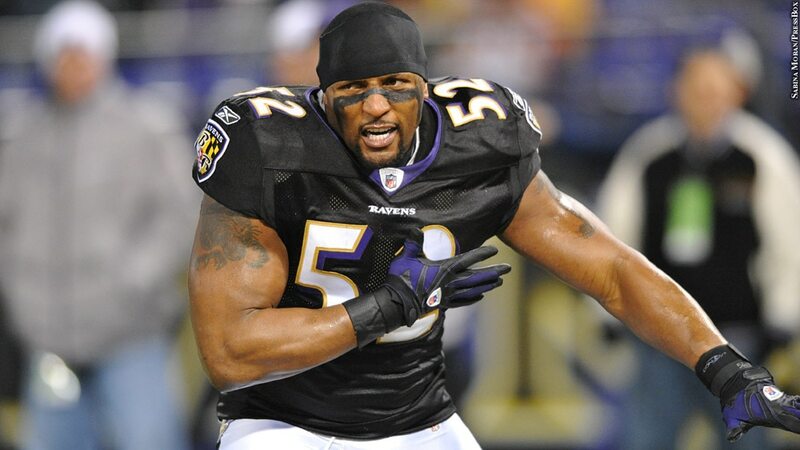 In the days leading up to the Ravens' second Super Bowl, Lewis was dogged by accusations that he had expedited his return from the triceps injury by using a substance banned by the NFL that was found in deer antler spray. Lewis denied it, but the issue underscored how controversy has never been far from Lewis. This was never more clear -- or serious -- than in 2000, when a melee outside an Atlanta nightclub involving Lewis and his entourage left two people dead. Lewis was initially charged with two counts of murder. Lewis has always vehemently denied involvement in the killings, and the Ravens steadfastly stood by him. The murder charges were later dismissed when Lewis pleaded guilty to obstruction of justice. He was sentenced to one year of probation. Those close to Lewis said the Atlanta incident left him more fully focused on football and life choices. "That kind of life lesson makes it very clear to you, at a very young age, that this can all go away in an instant," Billick said. "To have that lesson ingrained in him ... I'm sure it provided another whole level of commitment and focus and intensity." Still, Atlanta will always be part of Lewis' legacy, and to his critics, it will always define him. Amber Theoharis, who covered the Ravens locally before moving to the NFL Network, calls those critics a "fringe part of the population." "I think you're just never going to change people's opinions on that," Theoharis said. "Those were set in 2000." But, she adds, the reception is different among football people she converses with on a weekly basis -- coaches, analysts, front-office staff, former players -- "I think the first thing that comes to mind with football people is he's one of the greatest middle linebackers of all time, one of the baddest dudes on the planet." Even since retiring, Lewis has found his way back into the spotlight -- and controversy. He publicly questioned Flacco's passion for the game, later apologizing via Twitter. He injected himself into the Colin Kaepernick controversy, saying a potential deal between Kaepernick and the Ravens was scuttled because of a tweet from Kaepernick's girlfriend. The team never confirmed that. And most recently, Lewis joined the Ravens in kneeling in London during the national anthem, a gesture that angered a significant portion of the Ravens fan base. Lewis later explained that he "dropped on two knees, both knees, so I can simply honor God in the midst of chaos," but many fans weren't buying it. An online petition to remove Lewis' statue at M&T Bank Stadium as a result of his gesture garnered more than 80,000 signatures. All of that will be in the rear-view mirror in the first week of August, when adoration for Lewis -- and purple No. 52 jerseys -- no doubt will be on full display in Canton. As a bonus, the Ravens will play the Chicago Bears in the Hall of Fame Game Thursday, Aug. 2, two days before Lewis formally takes his place among pro football's legends. As Lewis said after his election was announced: "For it to end in New Orleans, for my last ride to walk off a football field forever a champion, and then ... to be here five years later and now to walk off a Hall of Famer, I don't know who else writes that story. It's the greatest story." Justin Tucker has kicked 13 game-winning field goals during his seven-year Ravens career, and he should have a lot more chances going forward, as the team signed the All-Pro kicker to a four-year, record-setting contract extension April 24. The Ravens have picked up the fifth-year option on left tackle Ronnie Stanley, solidifying that spot for at least another year while they prepare to fortify their offensive line through the upcoming draft.